KILLINGTON — At the past Selectboard Meeting on Tuesday, May 5, several members from the Vermont Agency of Transportation, including Jennifer Fitch, structures project manager, and Gary Sweeny, project engineer, reviewed and discussed the planned replacement of Bridge #33, which is scheduled to take place during the summer of 2018. 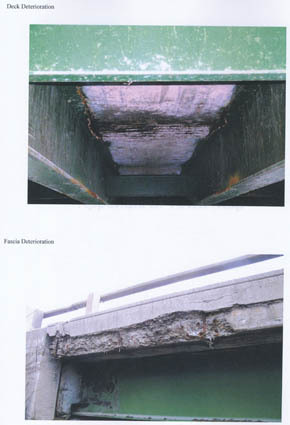 The bridge, located just east of Skyeship Gondola on US Route 4, is in poor condition and has been deemed “structurally deficient” by the state. The bridge was built in 1956 and is approximately 69 feet long and 30 feet wide. Fitch reviewed the other options for bridge repair, including a deck replacement, and deck and superstructure replacement. Ultimately, the state decided that a full bridge replacement would be best. “We really want to get in and then stay out,” she said. During the estimated 10 day project, the road will be closed. Additionally, the project will result in traffic disruptions, including periodic lane closures, for a couple of weeks before and after the closure. 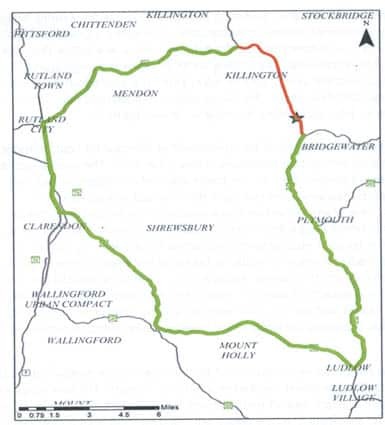 There will be a local detour, 1.6 miles around via Mission Farm Road; but the major detour for regional traffic and all trucks will be 48 miles, via Routes 100, 103, 7 and 4 passing through Plymouth, Ludlow, Clarendon, Rutland and Mendon, respectively. According to a recent state traffic study, Bridge #33 carries an average of 5,900 vehicles daily, with a maximum of 820 per hour. Trucks make up 15.4 percent of the traffic. However, many local attendees questioned these traffic estimates, noting that the averages are not very useful, as the volumes fluctuate greatly depending on the day of the week and the season. Rev. Lee Alison Crawford, pastor at Church of Our Saviour on Mission Farm Road, was concerned about the volume of local traffic, saying it would be “interesting.” She noted that occasionally an accident has forced Route 4 traffic onto Mission Farm Road as a detour for short periods of time and vehicles always drive too fast. The timing for the construction will be determined by a variety of factors, including when fish are spawning in the river and Killington’s event such as the Stage Race, Century Ride, Vermont Challenge, Killington Classic and Spartan Race. The replacement bridge will be 10 feet wider than the current structure, at 40 feet with two 12-foot travel lanes and two 8-foot shoulders, making popular activities such as walking or biking safer. The lifespan for the proposed bridge is 80+ years. The state will pay for the cost of the new bridge and will also have a small allotment to help the town offset any repairs or costs (including enforcement) that are needed due to construction, Killington Town Manager Seth Webb said.